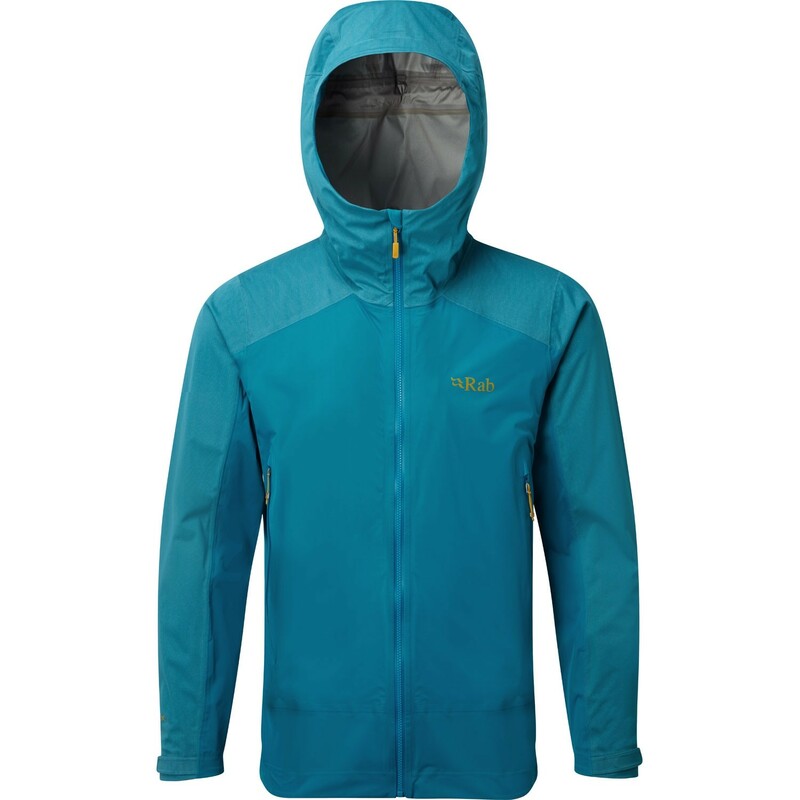 The Kinetic Alpine Jacket is a superlight waterproof jacket made from Rab's own Proflex fabric that bridges the gab between hard- and soft-shell. This is a highly stretchy fabric with a soft supple feel that won't impede your movement, sized for a slim, streamlined fit. Designed for day-long use in challenging, changeable weather conditions, the Kinetic Alpine Jacket has a waterproof component hidden inside: a high performance, flexible membrane with a waterproof measure of 10,000mm and an exceptional breathability level in excess of 35,000cc/sqm/24hrs. The outer and inner layers of Proflex™ are engineered, high gauge knits – the outer treated for water repellency, the inner wicking to move moisture rapidly through the system.